Ultima Football Netball Club is part of the Golden Rivers league in north-central Victoria. Other clubs in the nine-team league include Nullawil, Quambatook, Wakool and Hay. 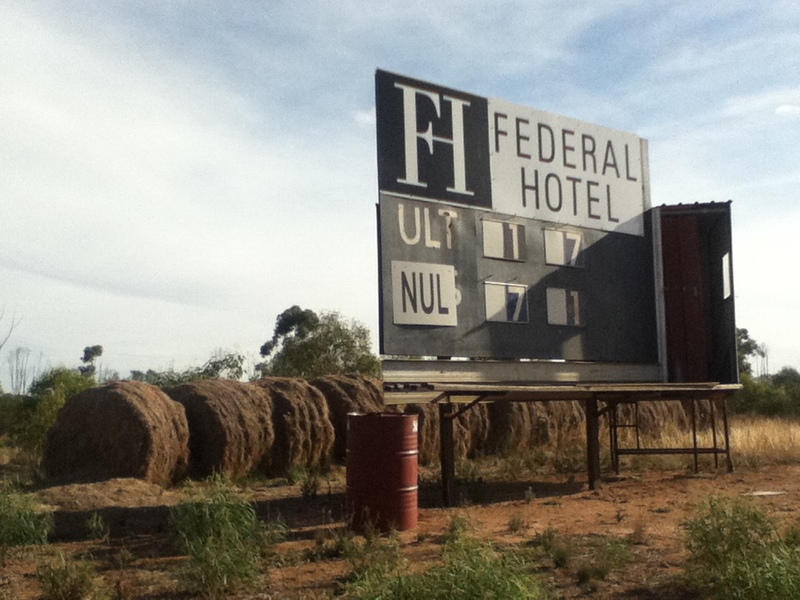 Footballer, writer and journey-man Matt Zurbo took the photo during a far-reaching off-season odyssey that took him from the plains of the South Australia/Victoria border to the lush heat of Cape York. Of all his scoreboard photos, this is his favourite.It’s not hard to see why.